Thank you all who helped make our 2018 swap meet a huge success! 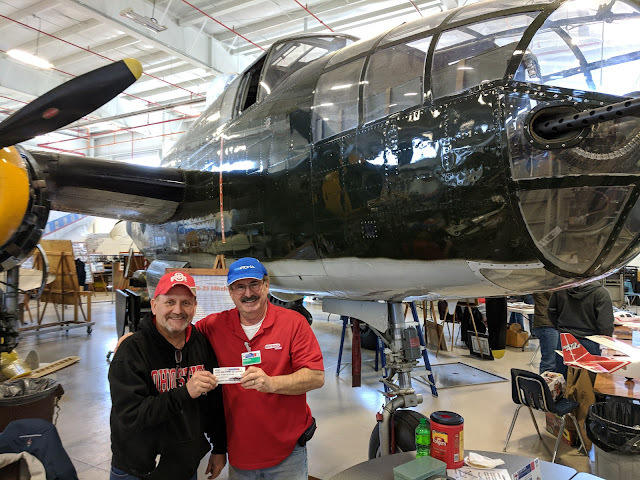 Congratulations to the winner of the ride in the B-25 "Champaign Gal"
Only a few more days until our swap meet at the Champaign Aviation Museum on March 10th. Vendors, hurry and make your reservations! TABLES ARE GOING FAST! We only have a few 8 foot tables left and we may not be able to guarantee one the day of the show. We look forward to seeing everyone this Saturday.